For decades now, prospective college students have been exiting the confines of their shores to other countries to study. Studying abroad comes with its perks as well as drawbacks equally. Seeking the right counsel before jetting out of your country to a foreign land for studies is not an option if you want to be on the safe side or not getting yourself scammed even before you get there.So presumably, you’ve thought over the decision, you’ve weighed your options, your purse and everything you need to consider personally before venturing out, then it’s time to seek a study abroad consultant who will be your guide all through the process that sees you to airport with a tag above you that says departure. Most students often ignore these consultants and find themselves a visa agent or travel agent, and do not realize that they just left their best shot at securing a visa for elsewhere. Travel agents, no doubts can help you process visa applications and flight reservations, but they don’t often specialize in student visas. Their versatility in processing traveling papers gives them little or no room for specialization. The study abroad consultants, on the other hand, have a focus area and are well acquainted with everything related to student visas, including recently enacted policies as regards traveling documentation for students, changes at the embassy, and high-risk countries among others. Professional travel consultants will offer you appropriate advice. 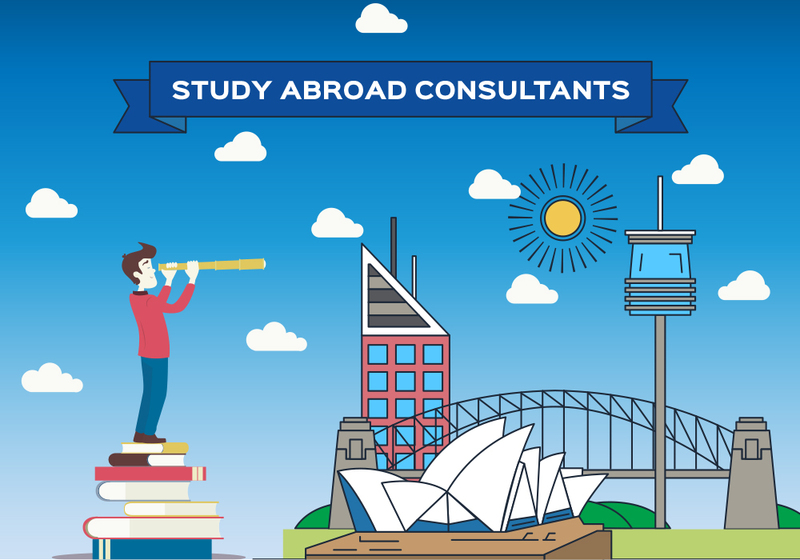 These study abroad consultants have been working in this industry for years; they’ve cemented their reputation for helping students travel abroad for studies easily and without issues in the long run. Think about it; if they’ve failed in their responsibilities, they would have probably be out of business because their failures would have brought incessant complaints from clients and that would have wrecked their trade. The sole fact that they’re still afloat in business speaks volume of credibility and trust. You can now rule out the possibility of being misled, scammed or rejected by the embassy. Their reputation is also related to professionalism which is why these student visa consultants are erudite scholars who are well-groomed in international relations and can offer the best counsel when it comes to matters of studying abroad. They’ll identify potential dangers and advise you on the need to change a choice destination. Your documents will be properly vetted and if any is found wanting, they help you address the deficiency. Your travel agents might not even have the time or knowledge to inform you on scholarships. This is where the student visa consultants are ahead of them in the lane. They educate you on available scholarships, eligibility criteria, pros, and cons, and even help you apply. There are also open tuition-free institutions, the standard of education and credibility of these no-tuition schools will be made available to you. They will also guide you on the tests to take and some even offer tutorials on these tests, though you will have to pay for it. While you get you a hitch-free visa processing, you stand a chance to school for free or half the tuition because you sought the right place for guidance. It’s cool if you ask me. Student visa consultants can offer free counsel on the courses to choose from some designated countries and courses to avoid likewise. They’ve been sending students out, and so their archives of testimonials will be enough to guide you on the right career path for that country of your dreams. Avoid being a victim of wrong counsel, patronize student visa consultants in Melbourne as you plan on traveling abroad and be assured you are plying a safe route, void of complications and hurdles. You might not be so convinced until you heed to this call and might just have to buy me dinner in appreciation.